What better way to gain the strength and energy to carry you through a hectic morning schedule than with a steaming bowl of freshly cooked oatmeal. 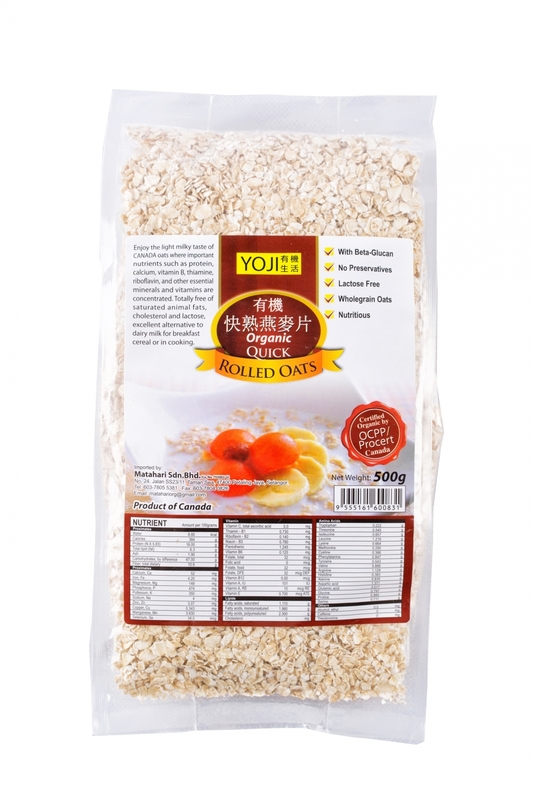 Oats contain a specific type of fiber known as beta-glucan, which can lower cholesterol levels and thus significantly reduce the risk of cardiovascular disease and stroke. Beta-glucan has beneficial effects in diabetes as well, helps keeping blood sugar levels under control. Beta-glucan boosts defenses of the immune system against bacteria, viruses, fungi, and parasites. Diet rich in fiber from whole grains, such as oats, offered significant protection against breast cancer for pre-menopausal women. A great way to start your day. Cook in boiling water for 3-5 mins and it is ready for serve. Add your favorite nuts and fruits to a piping hot bowl of oatmeal. Add oats the next time you make bread or muffins.